Colombo crime family boss Carmine (The Snake) Persico's grandson recently underwent eye surgery, though he still seems to have vision problems. As recently reported, Persico's grandson (and namesake) mistook a total stranger for someone he thought he knew. 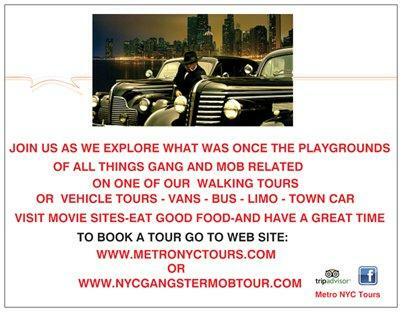 The 25-year-old grandson of Mafia royalty apparently has a beef with whoever he thought he saw. 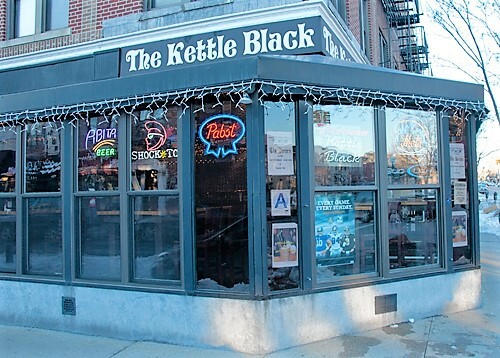 Persico, backed by three guys, punched the stranger in his face outside the Brooklyn bar the Kettle Black, in Bay Ridge. "You look familiar," Persico allegedly snapped at the puzzled victim. Persico dropped his keys as the group fled the scene. Someone grabbed them and the police were able to use them to trace the car to the mob scion, who was then charged with a slew of crimes, including first-degree assault and second-degree gang assault. The three alleged accomplices remain unidentified and haven't been charged in the case. The victim, Charles Pickering, is 22 and had to spend three days in the hospital following the assault. The scene of the fight in Bay Ridge, Brooklyn. "I never met him before in my life," Pickering said of Persico (through a wired jaw). He said he was standing outside the bar with some friends apparently having a smoke; the nearly blind Persico approached and asked to borrow his lighter. "I got my lighter back already and he was like, ‘Oh, you look familiar,’ so I turn around and all of a sudden he just hits me,” Pickering said. Pickering said he wasn’t afraid of any Mafia repercussions. "It’s the 21st century," he said. During the bail hearing, Persico's Legal Aid lawyer said the grandson's plans were to enlist in the US Navy once he recovered from his laser surgery. Persico was freed on $5,000 bail. Persico’s grandfather is serving 100 years for his 1986 conviction in the Mafia Commission case. 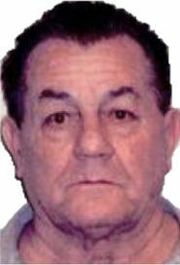 Uncle Alphonse "Allie Boy" Persico is serving life for ordering the murder of William "Wild Bill" Cutolo, who was the Colombo crime family's underboss when he disappeared. Uncle Michael awaits sentencing for loansharking. 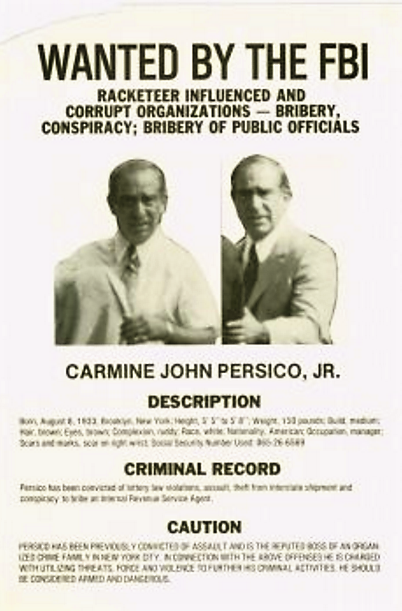 Carmine Persico, the grandson, is the son of the Persico recently written up in local news reports when he was seen working as a pizza deliveryman in Brooklyn. 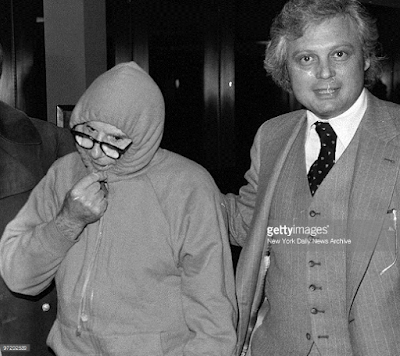 At the 1979 Commission meeting to determine the fate of Carmine Galante, would-be usurper to the Bonanno crime family's throne, the Colombo boss refused to sanction the hit, which was attached to the charges in the Mafia Commission trial. 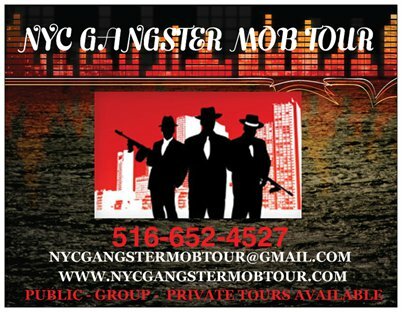 Anthony "Bruno" Indelicato was a defendant in the case for that; promoted to capo following the murder, he wasn't on the Mafia Commission. An argument could be made that Christopher "Christy Tick" Furnari and (admittedly to a much lesser extent) Anthony "Fat Tony" Salerno also weren't on the Commission, technically. In fact Christy Tick was quietly released from prison in October 2014. 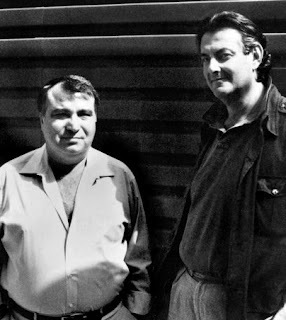 As for Fat Tony, Gregory Scarpa Senior fully detailed the Genovese crime family's entire "hide the boss" strategy in 1984, only the Feds somehow didn't pay attention or didn't believe him. During the Commission trial, a witness testified as to why Persico didn't want Galante killed. But first some background is required. Prior to the trial, Persico, now 83, had gone on the lam. He'd fled to his married sister's Long Island home. Fred DeChristopher, an insurance salesman who was married to Persico's sister, found himself living with the mob boss. After three months, he dimed Persico to law enforcement. 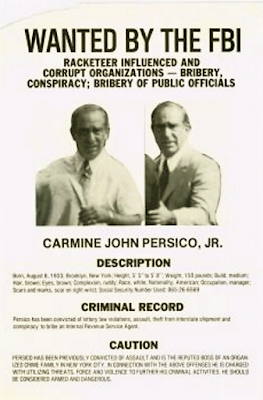 Carmine Persico made the FBI's wanted list. 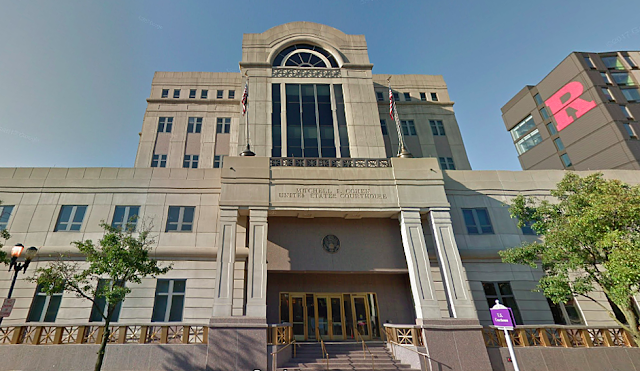 DeChristopher testified in Manhattan at the federal racketeering trial of Persico and seven others on trial for charges related to the Mafia commission. 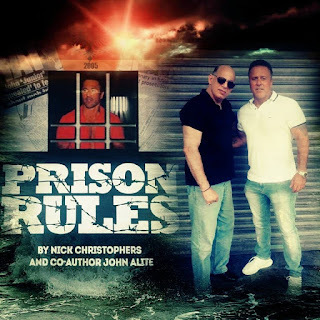 DeChristopher, while on the stand, noted that the Colombo crime family boss had told him how he and Galante had once shared a prison cell. 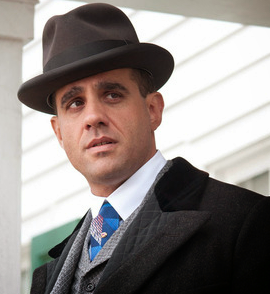 Galante "was a friend and the top man in the Bonanno family," the Snake had told his in-law. ''And quite frankly, I voted against him getting hurt." 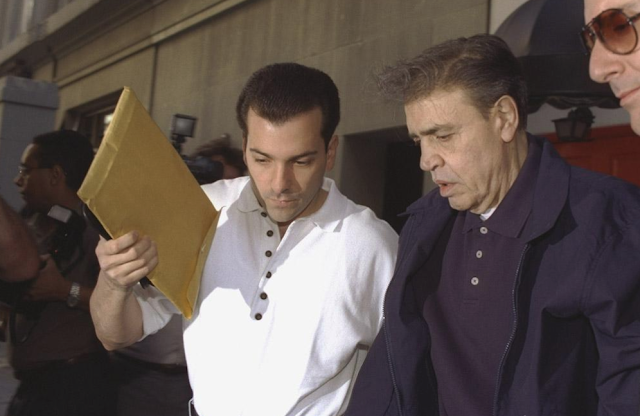 But Andrew "Mush" Russo, a member of the Colombo crime family, applauded, literally, and wore ''a big smile'' on his face when news that Galante and two others had been murdered was reported, DeChristopher testified. Galante, whose murder was a cornerstone of the Commission case. 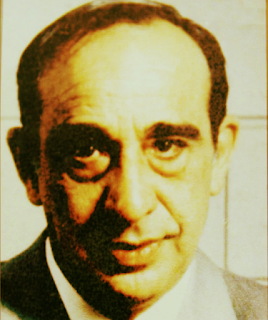 Persico hid out at his sister's house for three months before federal agents arrested him in Wantagh, Long Island, on Feb. 15, 1985. DeChristopher received a $50,000 reward for calling in the mob boss's location. During cross-examination, DeChristopher revealed that he had secretly informed on his wife's brother ever since they were married. It also came out in testimony that DeChristopher had agreed to take Persico into his home. 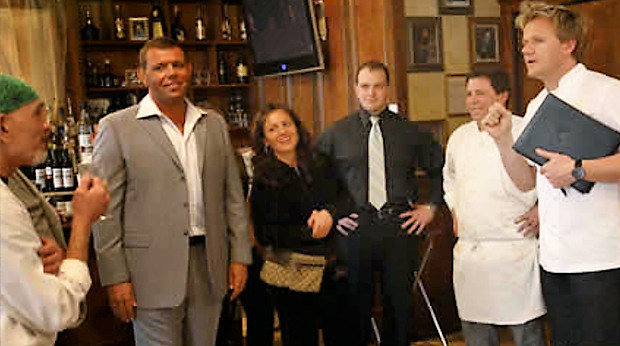 The two had even ''hugged and kissed'' when Persico had arrived. Persico had behaved as a ''gentleman'' while hiding at his house, he added. Langella's lawyer asked a barrage of questions, fueling allegations that Persico's brother-in-law had stolen $200,000 from a relative and often found it difficult to pay his bills. Carmine Persico, then 53 years old, was a high-school graduate; he defended himself but was being assisted by a defense attorney. ''Keep your eye on the issues,'' Persico said during his opening statement at Federal District Court in Manhattan. Persico "spoke directly to the jurors, smiling and addressing them in a soft, conversational tone," the Times reported. Prosecution witnesses, he informed them, likely would be murderers and drug dealers who had been paid to testify. ''They are powerful,'' he said, pointing to the prosecutors.